Artist's Estate Sale Starts Tomorrow! - Yo! Venice! Home Neighboring Communities Artist’s Estate Sale Starts Tomorrow! Artist’s Estate Sale Starts Tomorrow! Barbara wrote in that she is hosting the Pickett Estate Sale starting tomorrow at 8 am and also on Saturday starting at 8am. 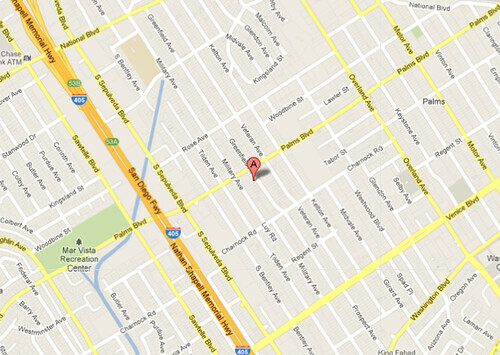 The address is 3515 Greenfield Ave, please do not show up before 8am! 4) Vintage Japanese Woodblock books, floral arranging books and more! Furniture : Antique Tansu Chest, Japanese Sleeve Fence, Mid Century Style Cabinet, Mid Century Dresser, Vintage Wicker Rocking Chair, Vintage Wicker stationary chair, Swedish style leather upholstered sofa, Wicker sofa and MORE! Glass, Pottery and Porcelain: LOTS of Vintage and older serving pieces, vases, dishes, crystal stemware, vintage drinking glasses, shot glasses and dishes, Franciscan and Gladding McBean, Pottery items from the Southwest US, Japan, local studio pottery, Pottery items by Laura Andreson, Bernard Kester, Eleanor Dawes, Childrens glass dishes, … OTHER GREAT ITEMS! Miscellaneous Vintage table cloths, sheets, towels, Original oil on canvas paintings by the 103 year old woman who lived here, Antique and Vintage Japanese Hand Fans, Japanese and Chinese Puppets, Japanese dolls, LOTS of books on Native American, Philippine basketry weaving, beading, crafts, Ethnic clothing and textiles, Vintage Obis, Vintage Kimonos and shoes, Frank Lloyd Wright Architecture books, Art books, vintage children’s games, Vintage Doll House, vintage dolls and doll parts, items from around the world, Japanese Woodblock prints and Lots More! !